Leo Gerard Raboin, 70, of Plainville, passed away in the comfort of his home surrounded by his loving family on Tuesday, July 10, 2018 after a lengthy illness. He was the loving husband to Celeste (Bonalli) Raboin. Leo was born on May 12, 1948, in Bristol, CT to the late Gerard A. and Marie R. (Boucher) Raboin. He grew up in Bristol graduating from Bristol Central High School and furthered his education at Porter Chester Institute in Rocky Hill and Post University. A proud American, Leo served our country in the Army National Guard where he earned rank as Sergeant and was honorably discharged. 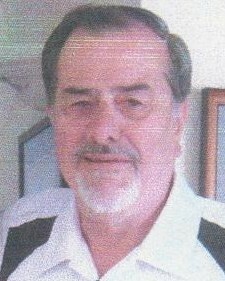 He resided in Plainville for 44 years with his wife, Celeste, where they established a beautiful home for their family. Prior to his retirement, Leo worked as a senior engineer for Johnson and Johnson. He was an avid New York Yankees and Giants fan. Leo enjoyed golfing, bodyboarding in Rhode Island, skiing and listening to classic rock music. In addition, he had a profound love and interest for classic cars. Leo will be deeply missed by his family and friends as they cherish the fond memories they have shared together. In addition to his wife, Celeste, Leo is survived by his son, Jason Joseph Raboin and his wife, Kate, of North Haven; his daughter, Meghan Lee Raboin, of Ithaca, NY; his granddaughter, Madeleine Rose Fouracre, of Ithaca, NY; his sisters, Aline Mellon and her husband, Kevin, of Bristol, Gisele Musamano and her husband, Jeffrey, of Bristol, Monique Raboin, of Coventry, and Louise Raboin, of Andover; his brothers, Marcel Raboin and his wife, Melina, of Naples, Italy, Rene Raboin and his wife, Patricia, of Bristol, Guy Raboin, of Andover, and Paul Raboin and his wife, Linda, of Middletown. Also, he leaves behind several nieces, nephews, and extended family. A Memorial Mass in Celebration of Leo’s life will begin on Tuesday, July 17 at 10 AM at Our Lady of Mercy Church, 94 Broad St., Plainville. Everyone is asked to meet directly at the church. Full military honors will be accorded following the mass. Burial will be held privately. Family and friends are welcome to gather at Bailey Funeral Home, 48 Broad St., Plainville on Monday, July 16, between 5 and 7 PM. Donations in memory of Leo can be made to the American Cancer Society, P.O. Box 22478, Oklahoma City, OK 73123.